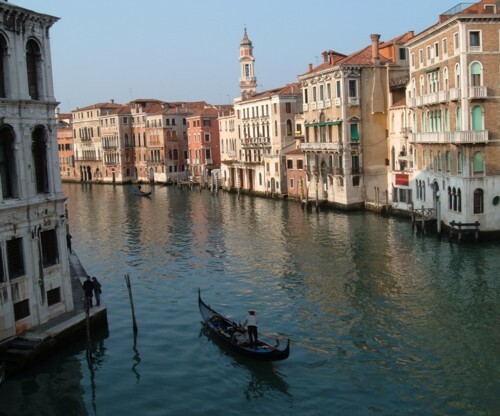 Many visitors to Venice set their hearts on a view over the Grand Canal. I've compiled what I think is the very first comprehensive listing of accommodation along the Grand Canal, from luxury five-stars to a couple of B&Bs. Although the idea of overlooking the Grand Canal is a romantic one, do be aware that this is the busiest thoroughfare in the city. Waterbuses (vaporetti) and other boats can be noisy, and there is a vaporetto service throughout the night. If prices and bookings aren't listed separately for canal-view rooms during the booking process, request one in the special comments box, and contact the hotel if they don't send confirmation with your booking details. I'd recommend that you confirm your room (and its view) again by email or phone a short while before your holiday. 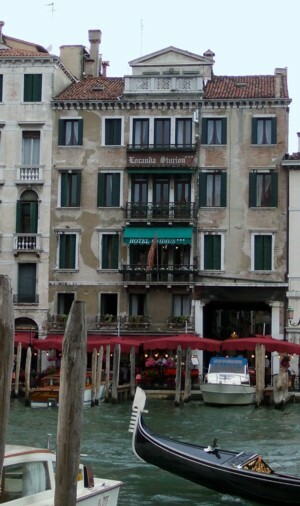 I think this is a thorough list of all the accommodation facing onto the Grand Canal. 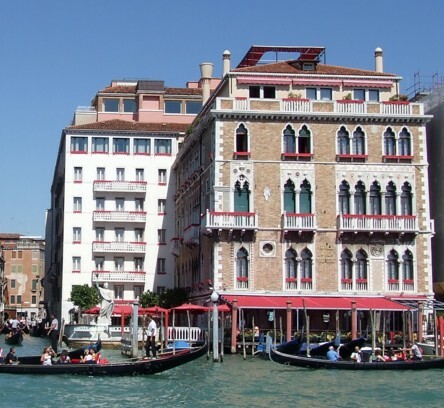 I've listed hotels in geographical order, starting by Piazzale Roma, the bus terminus at the start of the Grand Canal, and continuing past the Rialto and on to the far end of the canal by St. Mark's. 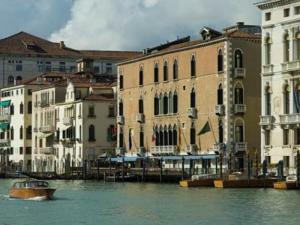 So some of the nicest hotels (and those nearest to St Mark's) are towards the end of the list. At the foot of the page I've added a couple of B&Bs and holiday rental apartments. 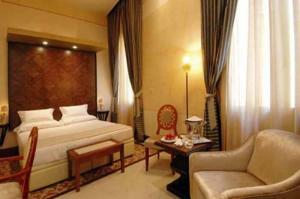 Click on the name of the hotel for more information and online availability, prices and booking. I have only included hotels which face directly onto the canal. Most have a water entrance on the canal, and water right up to the front wall. A few have a walkway between the hotel façade and the canal. There are a few other places to stay which are set back from the canal, down a lane for example, but which may offer partial views of the canal from one or more windows or balconies; I haven't included these here. From personal experience I can recommend : Hotel Giovanelli & Gran Canal, Pesaro Palace and the smart new Hotel L'Orologio. The Grand Canal begins with a very busy stretch alongside Piazzale Roma, Venice's bus terminus. 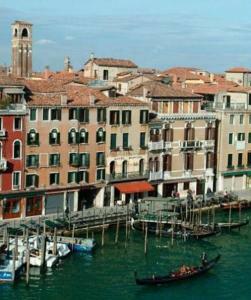 There are many vaporetto stops and boats manoeuvring, as well as a lot of pedestrian traffic. The Scalzi bridge crosses the Grand Canal by the railway station; then pedestrian routes lead away between buildings, and the canal becomes more atmospheric. I've listed hotels on the right-hand side of the canal, followed by ones on the left. 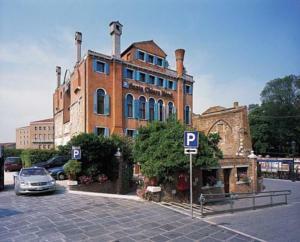 Right alongside the bus terminus at Piazzale Roma, this hotel is convenient for transport if not for peace and quiet. Uniquely in Venice, the hotel has a little car park. It's right next to Venice's new fourth bridge over the Grand Canal. There's a pavement between the hotel and the Grand Canal. Reviews are so-so. I've listed it for the sake of completeness, but this cheap option doesn't have great reviews. Still close to the bus and railway stations, there's a busy pedestrian thoroughfare in front of the hotel. More mixed reviews for this two-star accommodation above souvenir shops, which at least offers a cheaper alternative. Some rooms have shared bathrooms. Read the reviews to be prepared. Between Piazzale Roma and the bridge to the railway station, Ponte degli Scalzi, the four-star Carlton & Grand Canal has some outside tables on the pavement between the hotel and water. It's a rather unexciting place to stay, but it does have rooms with a view over this busy stretch of canal, and also a roof terrace. Probably the best choice in the Piazzale Roma/railway station area, this small, smart three-star in an elegant cream-painted building overlooks the crowded pavement to the Grand Canal beyond. There are little tables outside on the pedestrian thoroughfare; the hotel has done a praiseworthy job of making them look appealing, with flowers and window boxes. Deluxe rooms have a view. Just a few years ago this building and garden were dilapidated and unloved. Now this is one of the most appealing frontages on the Grand Canal. 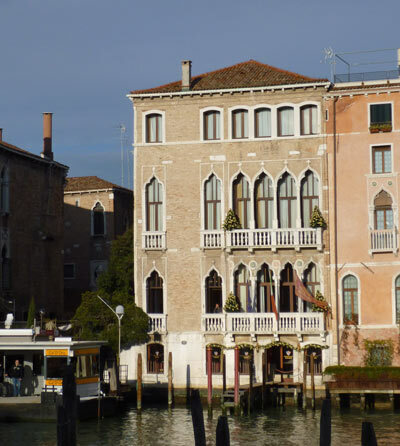 The historic palazzo is set back from the canal, behind its pretty rosegarden which extends to a low wall at the water's edge, where guests sit and doubtless congratulate themselves on their choice of hotel. The 22 bedrooms are therefore not directly overlooking the water, but the garden may compensate. Near to the railway station and Piazzale Roma, it's convenient for travel. A special place to stay. Expect envious looks from new arrivals on the waterbus as it passes. 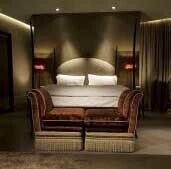 A boutique four-star hotel in a pretty white building still only a short walk from the bus and railway stations. 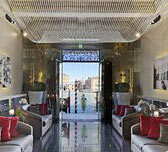 A new five-star combining modern luxury and genuine history in a palace with the rare advantage of a canalside garden. 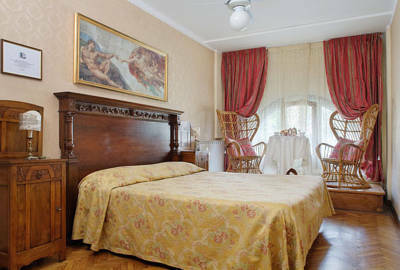 In an excellent location close to San Stae vaporetto. I haven't stayed there but I've looked around and admired it. A good one to try for a luxury holiday. Next to San Stae church and vaporetto stop, Palazzo Giovanelli is a great combination of historical elegance and modern luxury. I've stayed at the hotel in a room with Grand Canal views. Also known as San Cassiano Ca' Favretto, this is a popular hotel with a little jetty/terrace where you can often see guests sitting and admiring their view. 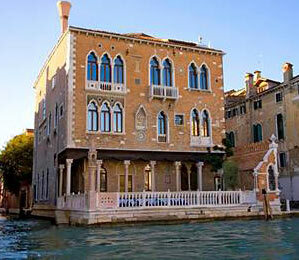 Decorated in traditional Venetian style, it's an attractive historic palazzo with a range of room types and prices. Very smart and new, decorated in a modern style with a glossy international feel, the Hotel L'Orologio has plenty of rooms with Grand Canal views (and cheaper rooms without). The hotel faces across the water to the Ca' d'Oro. I stayed there and wrote a review. 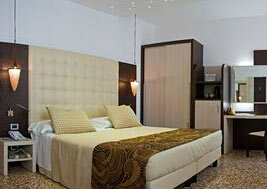 Tourist hotel on the busy Lista di Spagna close to the railway station, with double rooms overlooking the Grand Canal. A somewhat tired tourist hotel (check the guest reviews before booking), with a Lista di Spagna location. 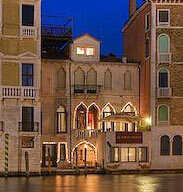 Some bedrooms and the restaurant terrace overlook the Grand Canal. Another hotel I can recommend personally, this has a traditional atmosphere and some fabulously grand rooms fit for a Doge. Right next to the Ca d'Oro vaporetto stop. 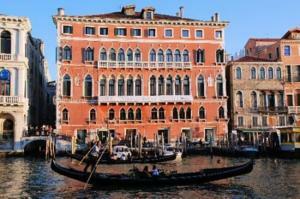 A modern luxury hotel in a historic building with a terrace over the water for classy dining. A special place to stay. The only drawback is the proximity to the landing stage of the Ca' d'Oro vaporetto stop, which could disturb your romantic meal. 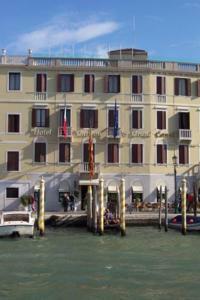 Hotel with very good guest reviews - and popular with readers of Italy Heaven - next to the Grand Canal with some sideways views of the water. There's a high roof terrace with more views. Fairly basic accommodation just off a busy thoroughfare leading towards the Rialto Bridge. 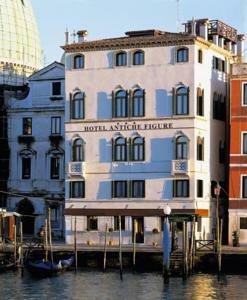 A small and pretty four-star with a little breakfast terrace one storey above the Grand Canal. Some bedrooms have views. Excellent reviews from guests. 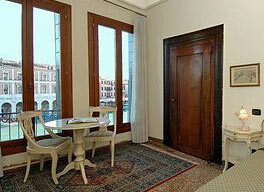 Around the Rialto there are is some lower-category accommodation with views of the Grand Canal and the famous bridge. This is probably the second busiest spot on the Grand Canal, as lots of waterbuses stop here and of course it's a magnet for tourist crowds. Just past the Rialto there are pedestrian walkways and restaurant tables along the canal for a short distance, so the hotels on this stretch don't have direct frontage on the water. 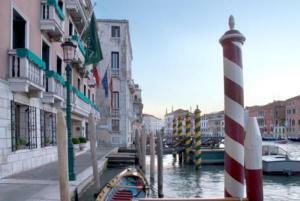 A bit further on, however, comes the quieter and more romantic stretch of canal towards the Accademia Bridge. There isn't much pedestrian access to the canalside here, so your view will feel more special. Practical hotel with good views, albeit in a busy location. Over the Rialto from the vaporetto stop, a three-star with variable prices. Request a canal view. Small establishment on an upper floor (lots of stairs); has a couple of bedrooms and a breakfast room with canal views. In the same building as Locanda Sturion, the Ovidius has a breakfast room with a panoramic terrace, and several rooms with views. Mixed opinions from past guests. 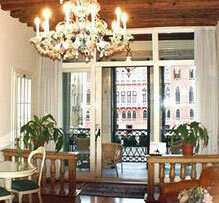 A small inn with six rooms, on the top floor of a historic palazzo. 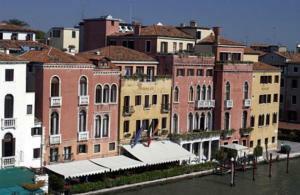 A well-reviewed hotel with over fifty rooms, some overlooking the Grand Canal with balconies. Next to Sant' Angelo vaporetto stop, this is in a nice area and very convenient for seeing Venice. 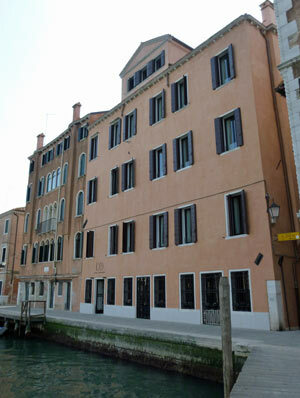 A smart hotel opening on to a short stretch of waterfront pavement, next to the Palazzo Barocci (above). The breakfast room, bar and some bedrooms have great canal views. It has a private jetty so you can arrive by water taxi if you're feeling extravagant. All of the Grand Canal is special, but the section on either side of the Accademia bridge is my favourite. There's practically no pedestrian access to the water, meaning that the canal feels somehow secretive, and it's easy to imagine yourself back in the days when Byron swam here. He lodged opposite the vaporetto stop San Tomà, in the Palazzo Mocenigo. As you near the end of the Grand Canal and the open water of the Bacino di San Marco (St. Mark's Basin), you come to some of Venice's most famous grand hotels. This area is much busier, and the lanes 'inland' are thronged with tourists and shoppers. 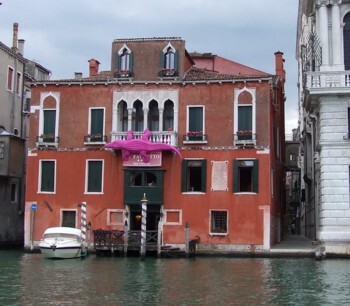 Palazzina G (or Palazzina Grassi) is next to the contemporary art gallery at Palazzo Grassi, on the San Marco side of the canal. 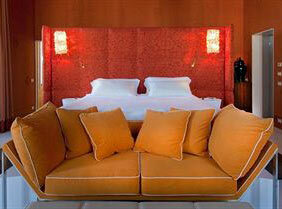 With interiors designed by Philippe Starck, this is a hotel for visitors who enjoy a style statement. Like many of the hotels on this page, Palazzo Stern is a fairly recent hotel, and it gets mostly good reviews. 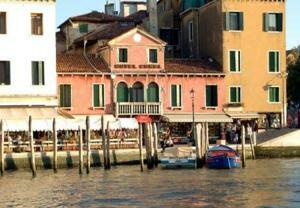 Situated next to the Ca' Rezzonico ferry stop, it has its own canalside terrace. Grand Canal views from a vantage point by the Accademia bridge, handy for getting around and for visiting the art gallery. 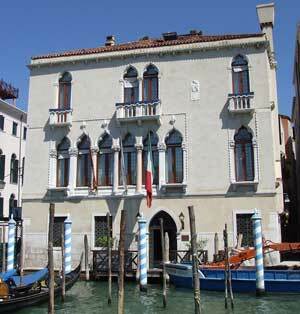 On the San Marco side of the canal and close to the Accademia bridge, this is a popular guest house in a historic palazzo. Rooms and suites have canal views. 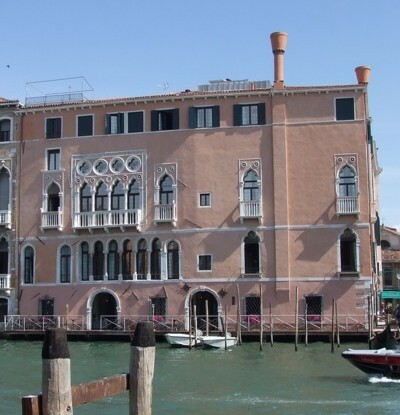 Near the Accademia Bridge, and over the canal from the Guggenheim, this is an attractive, small and quiet hotel with smart new fittings and a palazzo atmosphere. 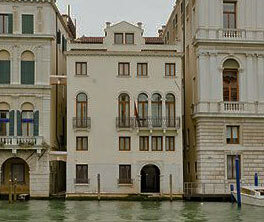 An elegant guest house on the third floor (no lift) of a palazzo between the Accademia and San Marco. 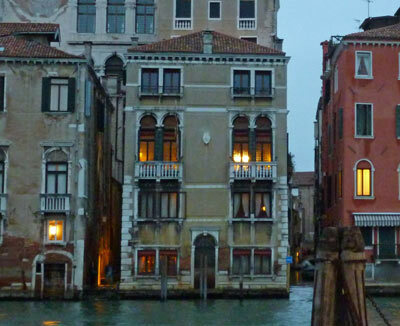 A couple of rooms and a shared balcony have Grand Canal views. 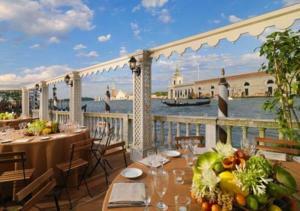 One of THE Venetian hotels, the Gritti Palace is in the luxury bracket. 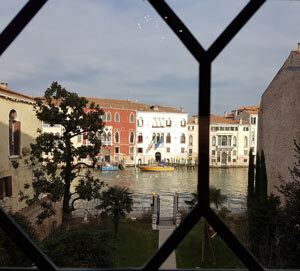 Rooms above the Grand Canal are extremely expensive; guests who've chosen rooms with lesser views can still enjoy the view from the waterside terrace. Close to the Salute church on the quieter side of the Grand Canal, this modern five-star hotel is in a good location for pleasant strolls and for catching the vaporetto across the Grand Canal. Contemporary style decor. A reasonable, though pricey, hotel, with good views but rather unenthusiastic reports from past guests. The restaurant and bar terraces have a view across to the Salute church. Set 'inland' behind its sister hotel (see below), the Bauer doesn't have Grand Canal views from its bedrooms. 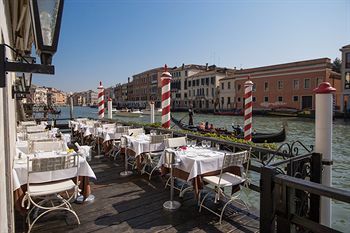 It does have a terrace on the Grand Canal where you can enjoy breakfast and evening drinks, weather permitting. 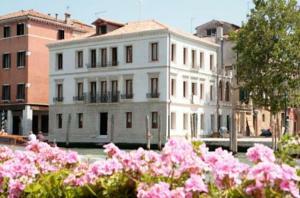 A real luxury option with views over the end of the Grand Canal and the Bacino di San Marco. Restaurant and breakfast terraces with views, and even a rooftop jacuzzi. Next to the Vallaresso vaporetto stop, the Monaco & Grand Canal aims for business as well as leisure travellers. 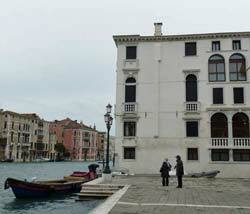 It has a long terrace at water level with views across to Punta della Dogana, at the very end of the Grand Canal. For a cheaper or more independent stay, here are a couple of B&Bs with Grand Canal views, and a holiday rental apartment. 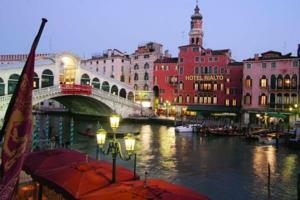 A spacious two-bedroom holiday apartment with views of the Grand Canal and the Rialto bridge. A B&B in the San Polo district, near the Rialto. 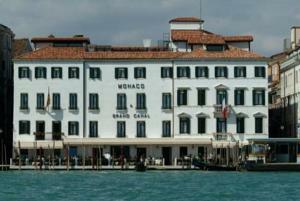 Public rooms and a junior suite have Grand Canal views. An ambitious B&B with spacious, stylish rooms. Close to the railway station, set back from the canal by the Scalzi Bridge. Other possible options for Grand Canal views include Gran Canal Terrace Apartments, another apartment overlooking the canal and Rialto bridge and the Riva de Biasio B&B, not far from the railway station. 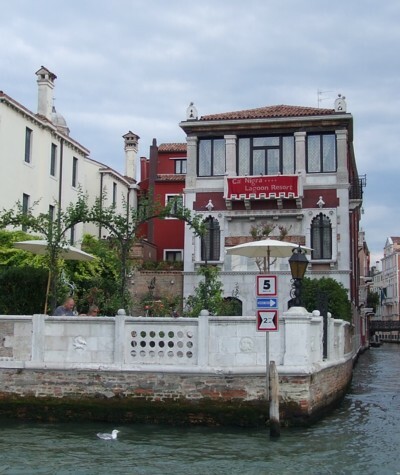 Hotels with partial views over the Grand Canal include Hotel Boscolo Bellini, near the railway station, and the gorgeous Ca Maria Adele, one of the best hotels in Venice.